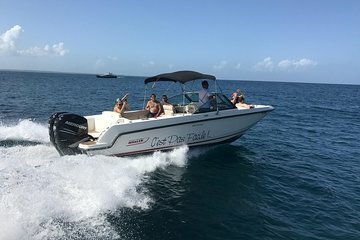 Charter your own speedboat and explore the entirety of St. Martin over the course of a day. Plan your itinerary for the day with your captain based on your interests and set out for a day of fun and relaxation. Visit areas such as Tintamarre and Creole Rock for pristine snorkeling, Pinel Island for a picturesque barbecue lunch, and La Sammana for a relaxing swim.